Designed as a drop-in native plugin, MagicSpam integrates directly into the SMTP layer blocking malicious traffic before it uses up valuable resources and bandwidth. 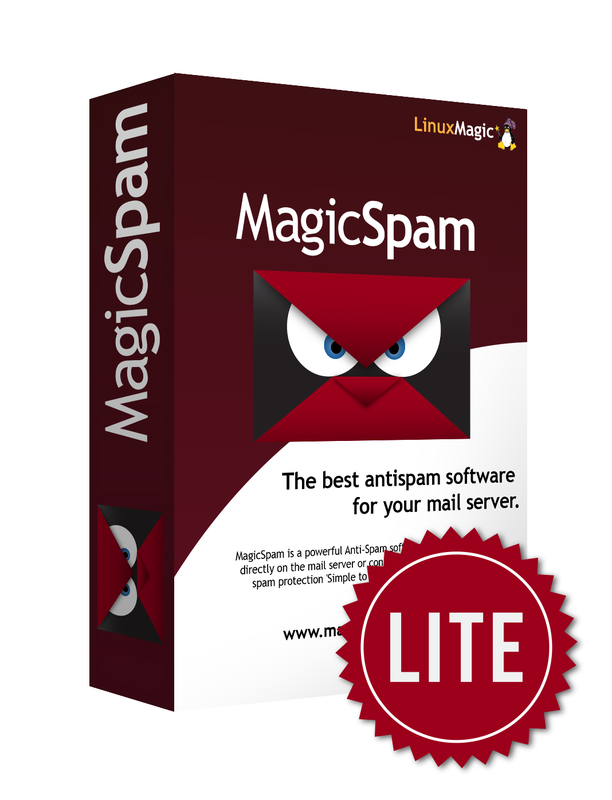 With most of the features of MagicSpam Professional, MagicSpam Lite provides a comprehensive set of tools to block spam at an attractive price for the smaller operator managing their own cPanel server. Take advantage of MagicSpam patented technologies, Anti-Spam Policies, Custom Whitelists and Blacklists, Inbound Rate Limiter, Statistics and Logs. Simple to Install, Simple to Use. Don't waste any time messing about with your DNS or Firewall settings, MagicSpam will immediately start protecting your server from the majority of spam right out of the box. Protect an UNLIMITED number of domains and mailboxes for one flat fee. BUY now and install MagicSpam on your server today! Designed for the hosting professional, MagicSpam Professional has all the power of MagicSpam Lite with the added benefit of Outbound Rate Limiting, Advanced Filtering and Email Security features. Choose exactly how you want to handle spam from rejecting, tagging or delivering to the native spam folder. Reject the worst of the spam BEFORE it wastes resources and bandwidth and filter the less obvious spam so your customers can make the final decision. MagicSpam Professional allows you to bundle spam protection with your hosting packages as a value added service for your customers. Let your customer manage their own spam protection settings, view their email statistics and logs via their own MagicSpam interface. Email is one of the most important services that you can offer your customers, make sure they have the best experience possible. Spam protection will lower your support costs and customer churn. With our Email Security options you can also lower the amount of compromised accounts which can be detrimental to you and your reputation. BUY now and install MagicSpam on your server today.